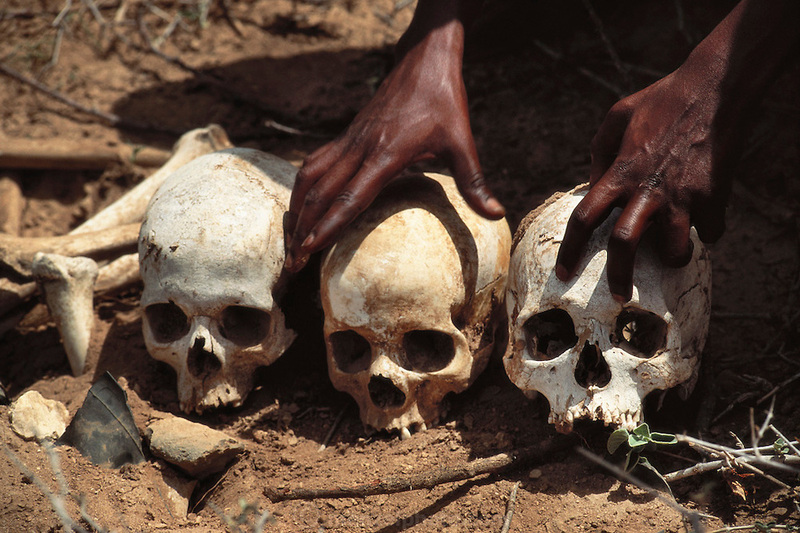 Human skulls unearthed by a demining crew in Hargeisa, Somaliland. They were found in a mass grave where 200 locals were executed by Siad Barre Government troops in 1988. Hargeisa, Somaliland. Somaliland is the breakaway republic in northern Somalia that declared independence in 1991 after 50,000 died in civil war.March 1992.